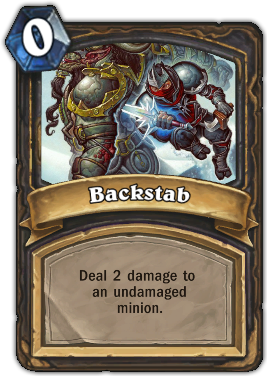 Description : Deal 2 damage to an undamaged minion. Quote : It's funny how often yelling "Look over there!" gets your opponent to turn around.